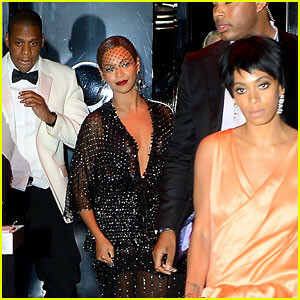 Beyoncé’s younger sister Solange Knowles, made headlines for brutally attacking Jay Z in a hotel elevator following the Met Gala after party. Officials from the Standard Hotel are furious that the elevator security footage had been leaked, and the employee responsible has been terminated. The video footage shows a very angry Solange ferociously hitting her sister’s husband with a 1.1 pound Anya Hinmarch metal bag. Beyoncé’s body guard had to hold Solange back, as she threw kicks and punches towards her sister’s husband Jay Z. Although Jay Z has not pressed charges against his wife’s sister, the Manhattan police could press charges against Solange even without Jay Z’s cooperation. Retired NYPD officer, William J. Cox says, “It happened in a public place, so she could definitely be charged with disorderly conduct. She could also be charged with attempted assaulted in the third degree”. According to common law, police officials have the power to perform an arrest if there is probable cause that a criminal offense has been committed despite the victim’s compliance. In this case, the district attorney will be the one pressing charges. Complications can arise when a victim is uncooperative however, this does not negate a criminal prosecution. Therefore, it is not required that the victim file a complaint against the defendant for a criminal prosecution to take place. Blick Law Firm serves clients in the areas of criminal defense, DUI defense, sealing records, and civil traffic infractions. Attorney Michael Blickensderfer, has extensive criminal law experience having served as a prosecutor in the states of Florida and New York. Mr. Blickensderfer has courtroom and trial experience in both criminal and civil cases; and is knowledgeable the areas of white collar crime, narcotics, Medicaid fraud, and DUI offenses. 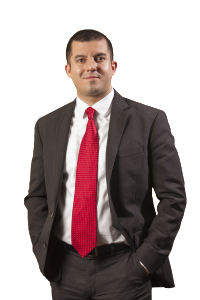 He currently serves clients as a private defense attorney, and has gained additional experience having previously served as a public defender. Call Blick Law Firm today for a free 15 minute consultation with Michael Blickensderfer. Blick Law Firm is hosting a free “Managing Financial Hardship” seminar on Friday, May 23rd from3 to 5pm. The seminar will be held at Blick Law Firm’s previous office at 4351 Gunn Highway in Tampa. 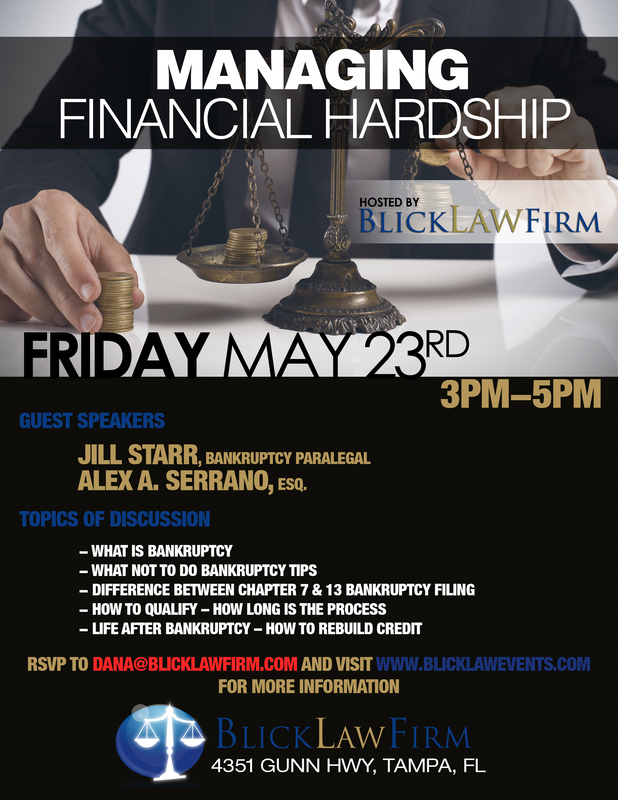 Bankruptcy Paralegal Jill Starr, and Attorney Alex A. Serrano will be discussing some options available to those facing financial hardship. In depth information in regards to what bankruptcy is will be discussed, as well as how it can be useful, and the distinctions between chapter 7 and 13. Information concerning what not to do preceding and during your bankruptcy case will also be explained, along with a “life after bankruptcy” session. Blick Law Firm understands that filing for bankruptcy can be very intimidating and stressful. Our goal is to not only educate but to also equip the community with a strong knowledge base of the bankruptcy process. Filling for bankruptcy is common in the state of Florida, and can safeguard and provide comfort for those overwhelmed with debt. What Bankruptcy laws do is liquidate assets, so that debts can be paid. Repayment plans are also available to those struggling with debt, in order to support a new financial beginning. Bankruptcy is a legal degree of a person or business that is unable to pay their debt to creditors. 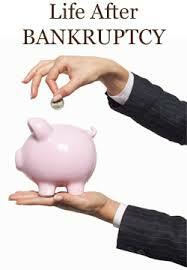 Bankruptcy is appointed by a court order that is generally proposed by the debtor. Filling for Bankruptcy is common in the state of Florida, and can safeguard and provide comfort for those overwhelmed with debt. What Bankruptcy laws do is liquidate assets, so that debts can be paid. Repayment plans are also made in order for those in debt to have a new financial beginning. Bankruptcy cases are generally filed under Chapter 7 or Chapter 13 of the Bankruptcy Code. It is very important that the information and paperwork are filed correctly to ensure that your bankruptcy claim is successful. The experienced attorneys at Blick Law Firm can assist with your bankruptcy claim, and help to make sure that the proper steps and precautions are being made when filing. Filing for bankruptcy can be very intimidating. Many Americans facing financial hardship believe bankruptcy is almost impossible to recover from. Some people are reluctant to choose bankruptcy, and may feel embarrassed, alone, or defeated when considering this option. However, filing for bankruptcy can provide a new financial beginning to those overwhelmed with debt, and countless Americans file for Bankruptcy every year. Rock stars, athletes, and even some of today’s millionaires have used bankruptcy to get their finances back on track. Walt Disney founded the animation company Laugh O Gram, in 1920. When his financial backers went broke, Disney became overwhelmed with debt and could not afford payroll. Disney was forced to file for bankruptcy and leave the mice infested company behind. 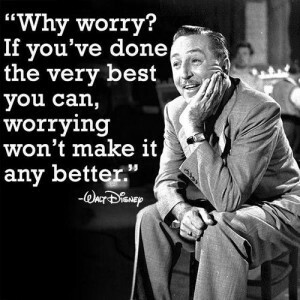 One mouse in particular had a lot of personality; Disney named the mouse Mickey and packed his bags for Hollywood. 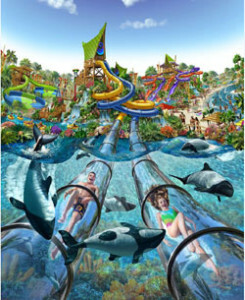 Upon arrival, Disney started a new self-named production company and invented the animated character Mickey Mouse. Today, the 100 billion dollar company is one of the largest in the world. 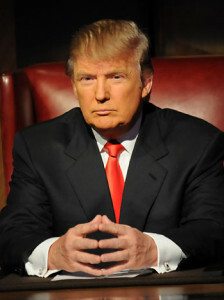 Multi billionaire Donald Trump, has declared bankruptcy four times. Due to some unsuccessful business ventures, Trump had to file for bankruptcy after accumulating billions in debt. Despite these financial hardships, Donald Trump is among the wealthiest entrepreneurs in the world with an estimated net worth of 2.9 billion dollars. Many people have used bankruptcy to help reclaim financial control of their lives. Bankruptcy laws liquidate assets so that debts can be paid, and repayment plans are available in order to secure a positive financial future. Following the correct procedure is crucial to ensure a successful bankruptcy claim. A bankruptcy attorney can help guide you through the bankruptcy process, and make sure that paperwork is filed appropriately. If you are struggling with your finances and considering bankruptcy, the experienced lawyers at Blick Law Firm can help you take the right steps towards a new financial beginning. Call Blick Law Firm today for a free consultation. Hurricane season runs from the months of June to November and is quickly approaching. 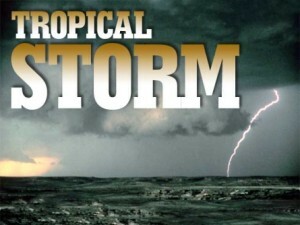 Tropical storms are common in the state of Florida, and it is very important to always be prepared and have an evacuation plan in place. In the event that you need to evacuate, it is crucial to know where you are going and have alternate routes planned out ahead of time. Follow any instructions that are given by local authorities, and never wait until the last minute to evacuate your family. Always have supplies ready, and make sure that they are quickly accessible. Medicines, portable radios, flashlights, and batteries are important items to have handy in the event of a hurricane. It is also wise to have a full tank of gas, and a fully charged cell phone. If you must drive, make sure to avoid flooded areas at all costs and don’t drive unless absolutely necessary. If you approach an area that is flooded, take an alternate route to your destination. If an alternate route is not available, wait for the flood to subside and get to higher ground. Keep yourself informed about weather changes by tuning in to the radio. Thousands of car accidents occur every year due to heavy rain. It is crucial to practice safe driving habits when driving through severe weather. In heavy rain, it is important not to drive recklessly, and it is equally important not to be too apprehensive. When driving through heavy rain, be sure to drive slowly and keep your headlights on. Rain makes roads slippery, so always allow extra distance between your vehicle and other vehicles on the road. Turn on your hazard lights so other drivers can see you through the rain, and keep your eyes on the vehicle in front of you at all times. Stop at all traffic lights and proceed with caution, also be very alert when approaching intersections. It is crucial that your windshield wipers and tires are in good condition for severe weather, make sure of this before hitting the road. 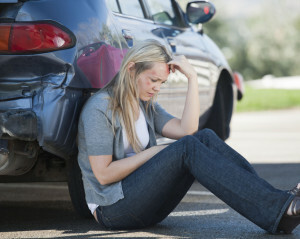 In the event of an auto accident, always immediately seek medical attention and contact an auto accident lawyer. If you or a loved one has been involved in an auto accident, call Blick Law Firm today for a free consultation with attorney Michael C. Blickensderfer at 888-973-2776!